Is the cheese potato good enough for a prince? 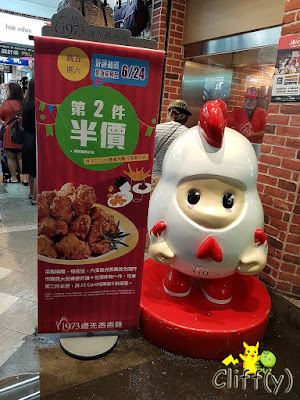 I'm pretty much the kind of person who prefers to have a proper meal for lunch and dinner, but I guess that's not the case in Taiwan. 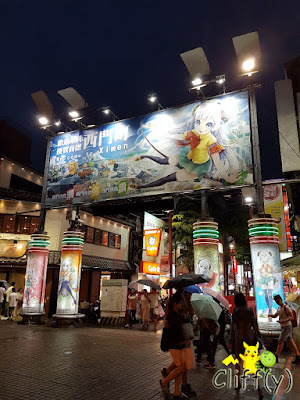 I wonder who wouldn't be tempted by the vast array of food stalls at the streets of Ximending, Taipei. Prince Cheese Potato has been serving something delicious since 2004. Let's take a look at its signature item. 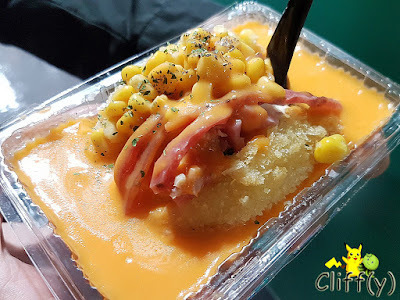 On my hand was a ball of mashed potatoes that had been covered in breadcrumbs before it went into the deep fryer, chock-full of ingredients such as smoked chicken, bacon, ham, tuna, corn, pineapple and broccoli. A generous serving of nacho cheese was then ladled over without reservation. It wasn't mind-blowing apparently, but I'd be lying if I were to say that I didn't enjoy it. 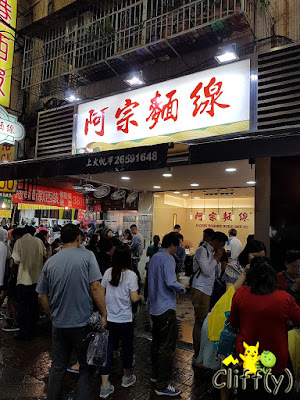 I've written about Ay-Chung Rice-Flour Noodle four years ago. I guess the stall is still as crowded as ever. Its price has gone up a bit, but the standard has dropped a little. 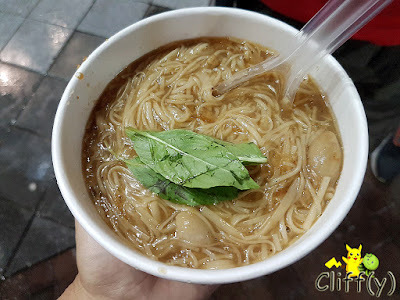 Nevertheless, the goopy mee sua (Chinese thin noodle made of wheat flour) dish was still delectable, especially on a rainy day. There used to be more of the large intestines in a bowl, I believe. J&G Fried Chicken used to operate a stall here in Singapore, but it has closed down. The queue at the kiosk that has been around since 1973 was pretty long when my BFF and I were there. 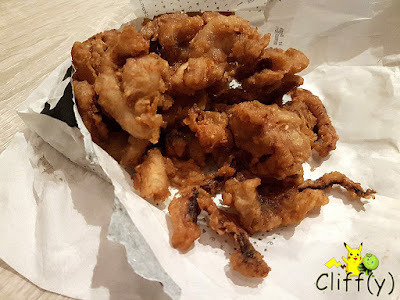 We went for the Chicken and Squid Combo, which is priced at NT$200.00 (~S$9.00). Pika's advice: Be a member to receive a discount on each of the combo items. Relishing the highly tender chicken breast pieces, I found it hard to stop popping one after another into my mouth. 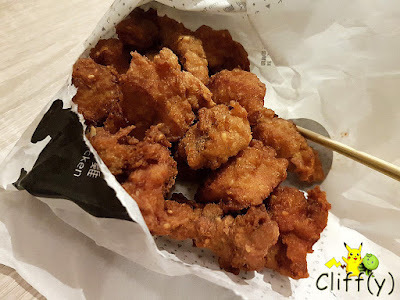 Apart from being seasoned well without being too salty, the popcorn chicken didn't give a dry sensation on the throat, otherwise I'd keep reaching for a drink. 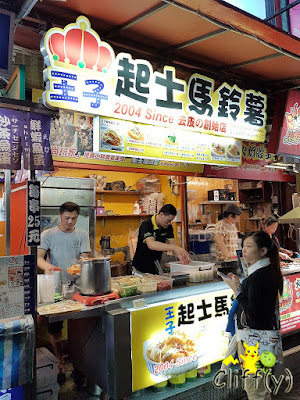 It was kinda silly, but the only reason why we chose the squid tentacles over the mushrooms is the fact that we tried the latter at the now-defunct kiosk at Tiong Bahru. Anyway, some of them weren't as crunchy as the popcorn chicken, but I enjoyed their bouncy texture. 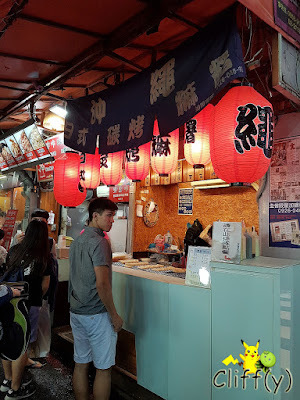 I miss Okinawa, Japan. 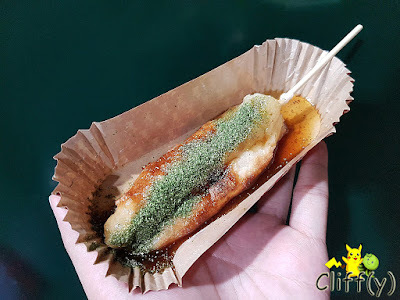 How about reminiscing those days while munching on skewered rice cakes? 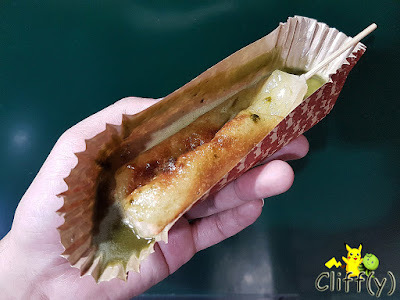 The rice cake, which was grilled to order, wasn't the best I've ever had. Having said that, it was adequately chewy for my liking. From the four savoury flavours available, we went for the sweet and salty Japanese soy sauce and seaweed sprinkles that were so fine that I almost choked on them. As there are seven sweet variants, we couldn't really make up our mind. We eventually decided on the green tea flavour, which was disappointing as the sauce was somewhat watery and not that fragrant. The only consolation was the sweetness level that was just right. Although not that many, those were enough for our stomachs for the evening.